U.S. House of Representatives Democrats will unveil legislation Tuesday afternoon to shore up the Affordable Care Act with more subsidies and other provisions. They significantly didn't fund the cost-sharing reduction payments that President Donald Trump halted in 2017. The package, which signals how Democrats want to steer healthcare law, likely won't go anywhere before 2020. It would roll back the Trump administration's expansion of short-term, limited-duration plans and the relaxed guidance on 1332 state innovation waivers. One provision would fix the "family glitch," which means people with access to employer insurance for their family members can't get subsidies on the exchanges even if they are low-income. Democrats accused Trump of sabotaging the ACA when he halted cost-sharing reduction payments, or CSRs. But as states directed insurers to load the payments into the benchmark silver plans used to calculate premium tax credit subsidies, low-income people started receiving more generous subsidies. Costs went up for the government and for those paying full-freight. Insurers have been on a winning streak as they challenge the administration's move in federal court. The Congressional Budget Office last year projected that funding CSRs would save more than $30 billion over a decade, as lawmakers considered a stabilization package including CSRs and a federal reinsurance program. House Democrats are also proposing a federal reinsurance program, which exchange insurers requested even as their profits continue to grow. Reinsurance is used to lower subsidy payouts as it funds high-cost claims, but a recent analysis projected that a federal program would cost the government about $30 billion. 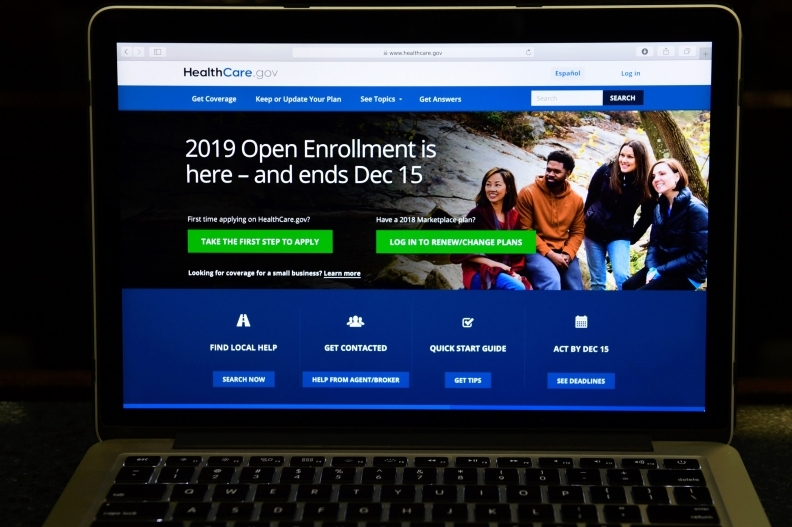 Additionally, the package would restore outreach funding for open-enrollment periods, and require outreach and education from the federal and state governments. The proposals would also "hold the administration accountable" for how it has spent the money targeted for outreach and running the federal exchange. House Speaker Nancy Pelosi (D-Calif.) has called shoring up the ACA a top priority of the party, after Democrats regained control of the House in November largely due to the party's message on protections of coverage for pre-existing conditions. The message was helped by the Texas-led GOP state lawsuit to overturn the ACA. Late Monday night the Democrats' message got another boost as the Justice Department announced it was siding with the federal judge in Texas who ruled to strike down the ACA in its entirety.